Last edited by TomRFD on Mar 20th, 2019 11:47 am, edited 2 times in total. Will be moving into a new house by the end of summer with quite a few Ethernet connections to each of the rooms (10+). 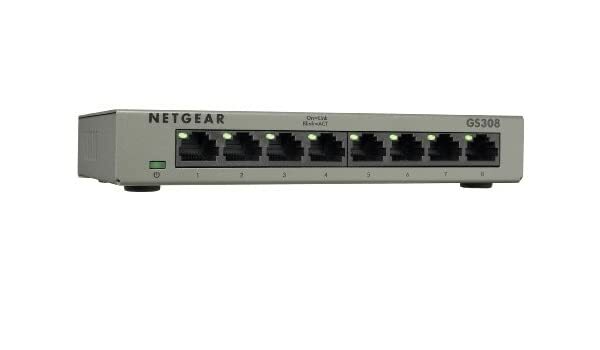 Looking for a switch but not sure if I should future proof myself with more ports or if i should get a "managed" switch. Any suggestions? Wouldn't a managed switch would be 5x the cost? What kind of complicated network are you running? Unmanaged switches are probably the way to go for most homes, it's plug and play with no tinkering required. Not 5x no, but it will cost more yes. Honestly not complicated at all. Internet-->router-->switch-->10+ locations. The reason why i'm asking is I don't mind spending a little more if I can future proof myself and not sure if a managed switch comes with any cyber security (I guess i'll do a bit more research). However, the plug and play opportunity along with the good price sounds like this is a no brainer purchase. Last edited by blisterd_nuts on Mar 20th, 2019 10:20 am, edited 1 time in total. The only futurerproof I can think of is if you want to get PoE (Power over ethernet) so that you can connect an access point or webcam and have it powered by Ethernet. This is generally considered to be a very reliable switch. Last edited by hainkurt on Mar 20th, 2019 11:35 am, edited 2 times in total. Unless you're running complex configurations like splitting the network up with VLANs (e.g. if you want to run a PBX VoIP with extensions going to each room) you probably don't need it.